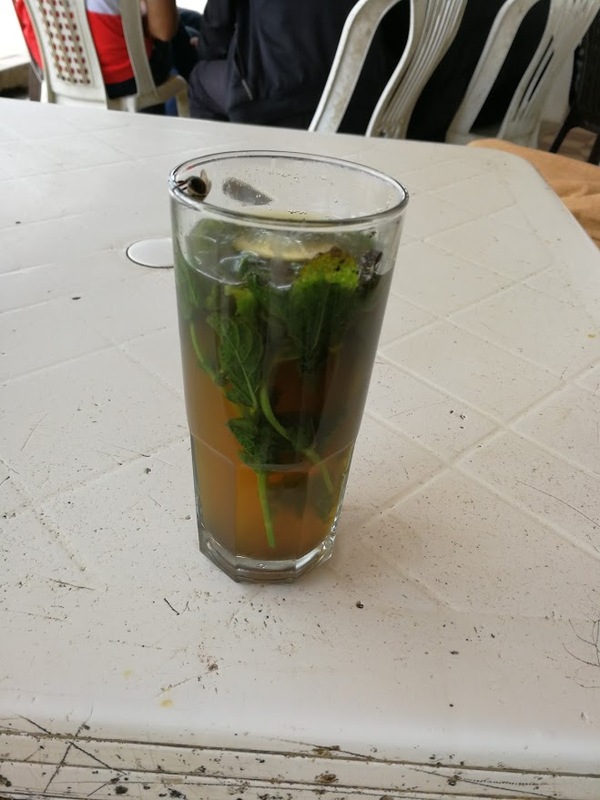 I am sweating in a cyber café in the center of Meknès. 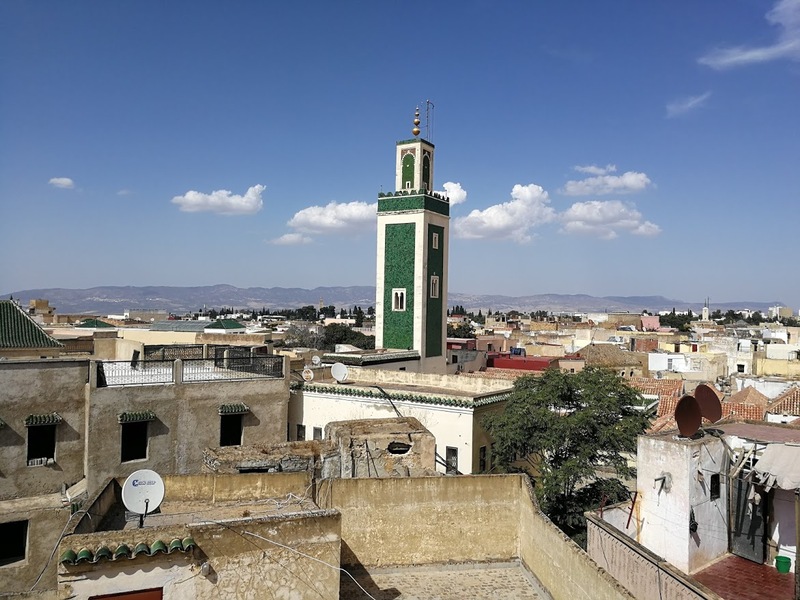 (I did not know where Meknès was 3 months ago, so here’s a link to google maps: Meknès ). It seems I can handle the heat better when I’m on the bike than when I sit down. 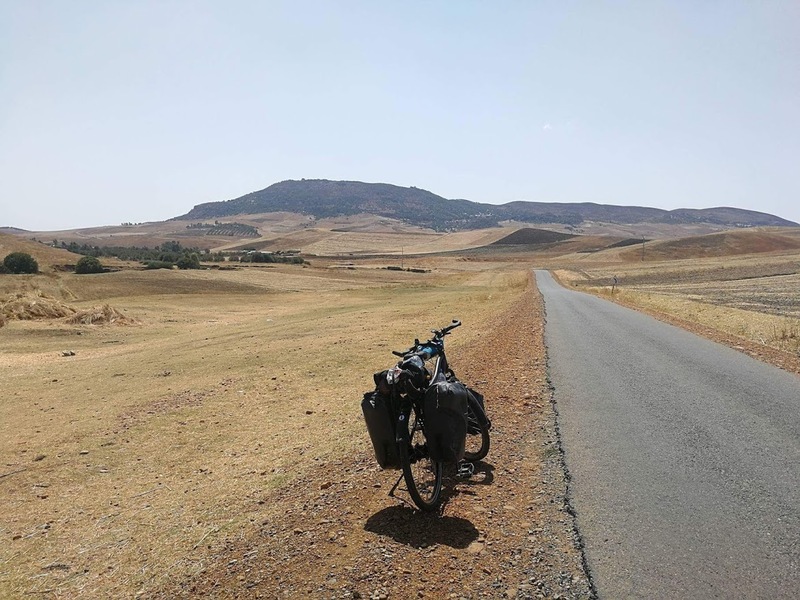 4200km after leaving Damme I have entered Morocco – 7th country already – and at the same time the African continent. 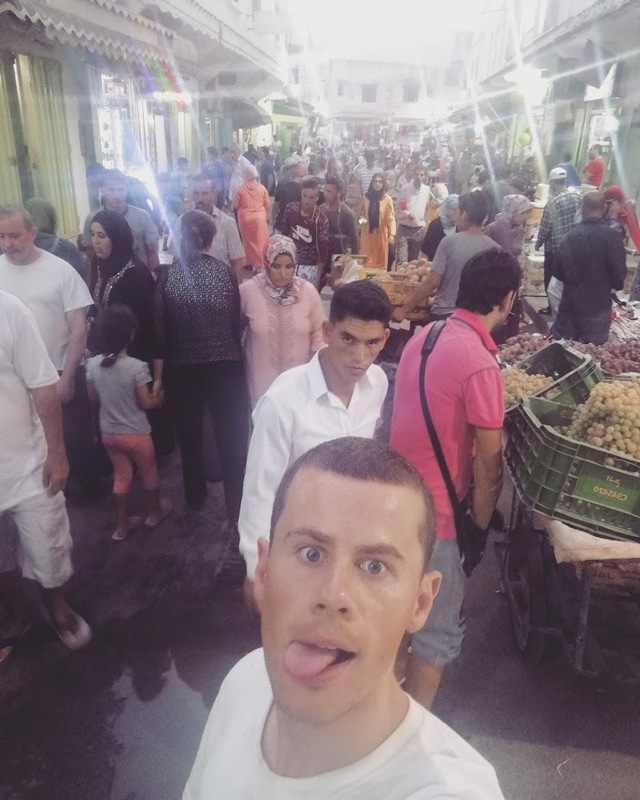 Morocco has been great so far. The scenery is lovely, and a lot of people come up to talk to me – or just yell through the car window. Some in Spanish, others in French, or even German (I guess they can tell from 2 miles away I don’t speak Arabic). I can barely count how many times I’ve been invited to stay the night at someone’s house. I also feel I am transcending into another dimension. I live in a fairy-tale world with beautiful views and friendly people. I have no idea what day it is (actually I just checked – it’s Tuesday), I just live the life I’ve always dreamed of. 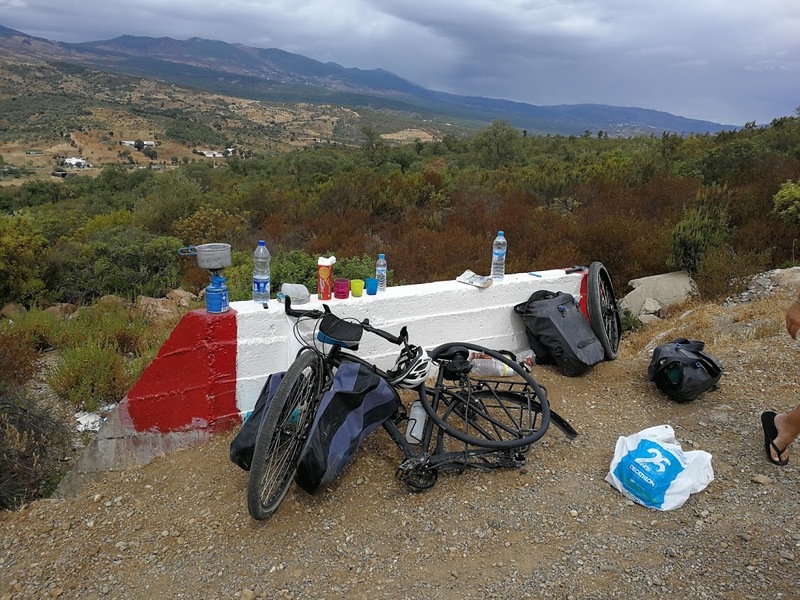 I cycled in Andalusia – in the Sierra Nevada and along the coast. 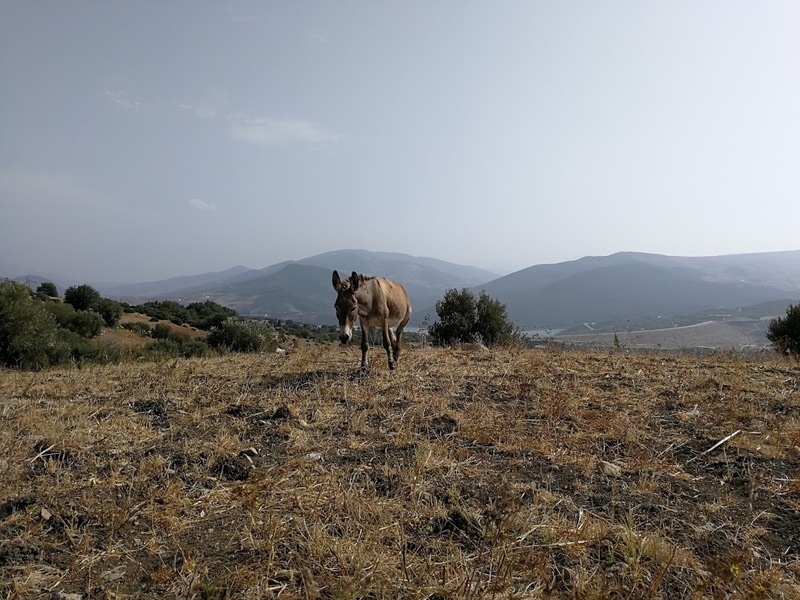 I visited an old colleague in Estapona. 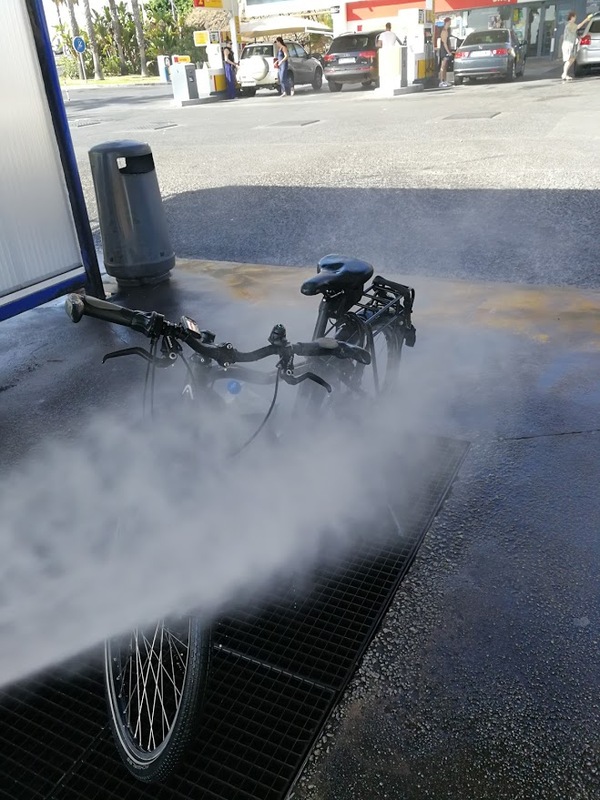 I cleaned my bike in a car wash. I got on a boat to Africa. 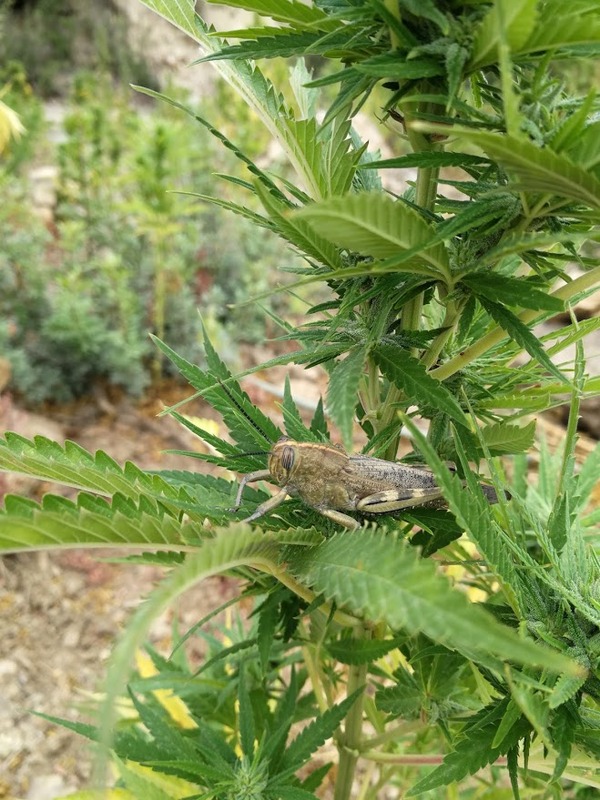 I camped wild in a field of weed plants. 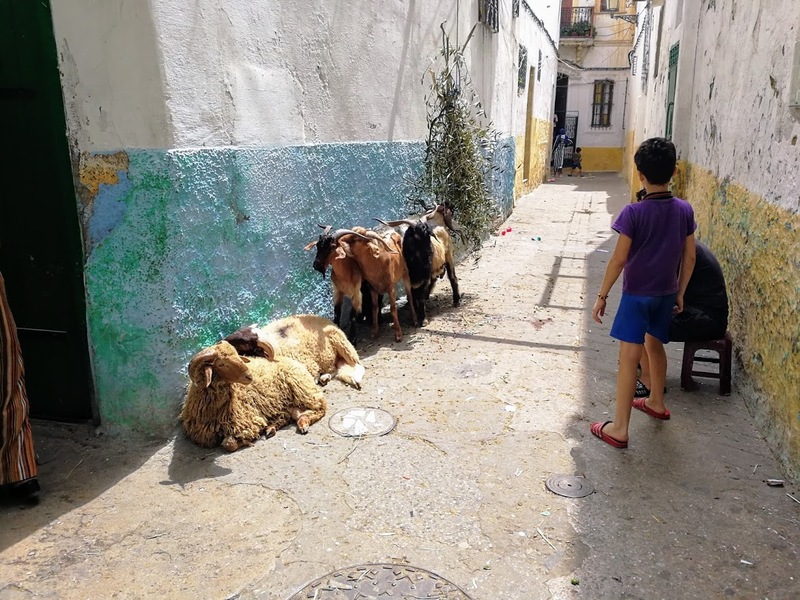 I visited two cities in Northern Morocco. I had a lot of tea. From Granada, I decided to go to Malaga. 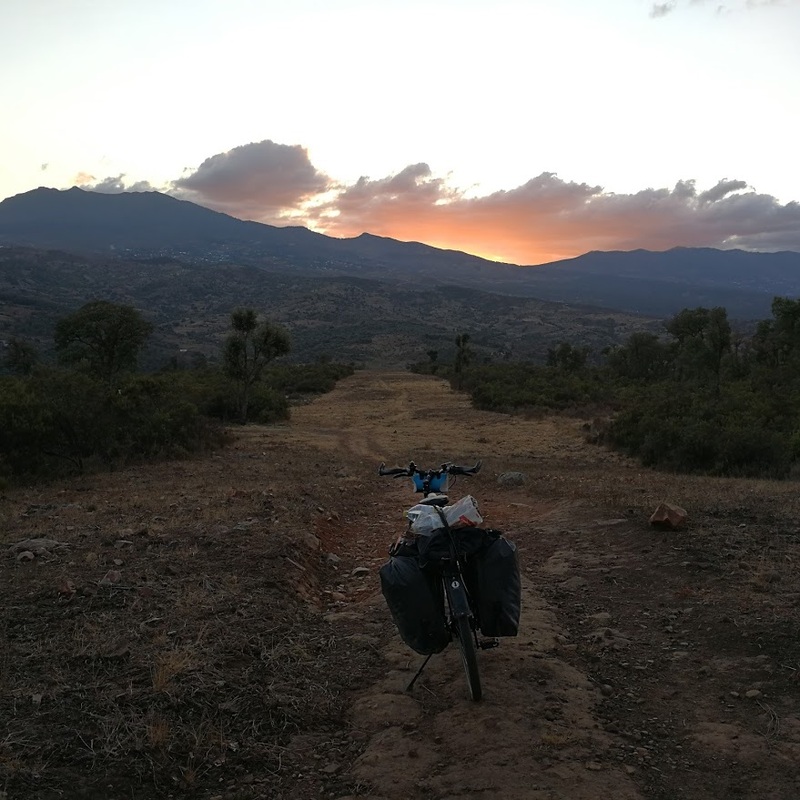 An old colleague of mine had invited me to stay for a night at his place in Estapona, but more importantly: I wanted to visit a city where I could buy tires etc. 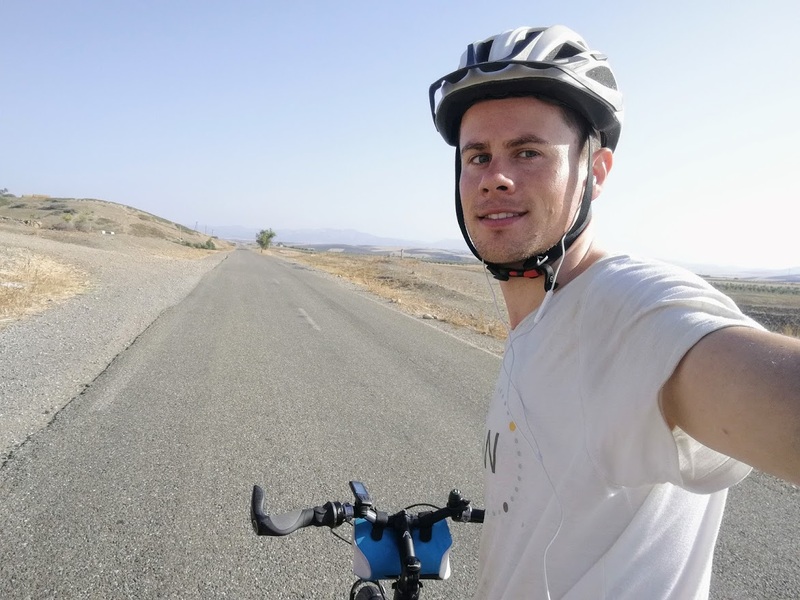 I cycled down a road that borders the sierra Nevada, and ends at the sea in Motril. At some point I was literally cycling in the clouds. 20km of downhill later I arrived at the sea. In Malaga, I visited 6 different garages on a quest for “sylicon spray” to lubricate the belt system I use. I also bought new tubes and hung out in the city. the Cathedral of Malaga by night. On the way to Estapona, I met a family who have a collective hobby: fishing. 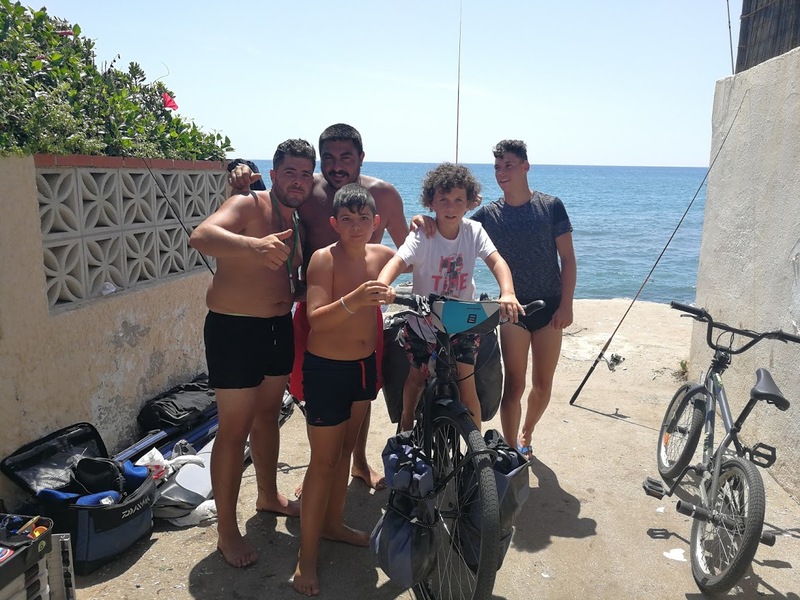 The Gonzalez family make an event of an afternoon of fishing by the sea, although I did get the impression the beer is also a key element of the fun – for the adults of course ;). They were excited to hear where I had come from, and where I was heading. In Estapona, I was welcomed by Olivier, Geraldine, and their two daughters. Olivier is an ex-collegue of mine, and he was spending his well deserved holidays with his family in Spain. A night in a real bed – or a couch – is always great after nights of wild camping! Thanks Olivier for explaining how the point system in golf works ;). 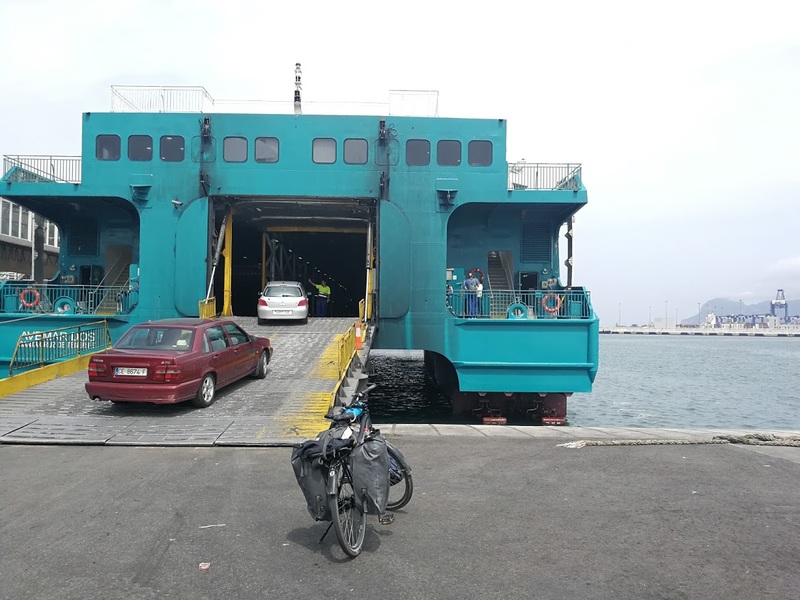 After Estapona, there was only one thing on my mind: getting on the boat to Morocco. Because I had booked my tickets in advance I was not in a hurry. 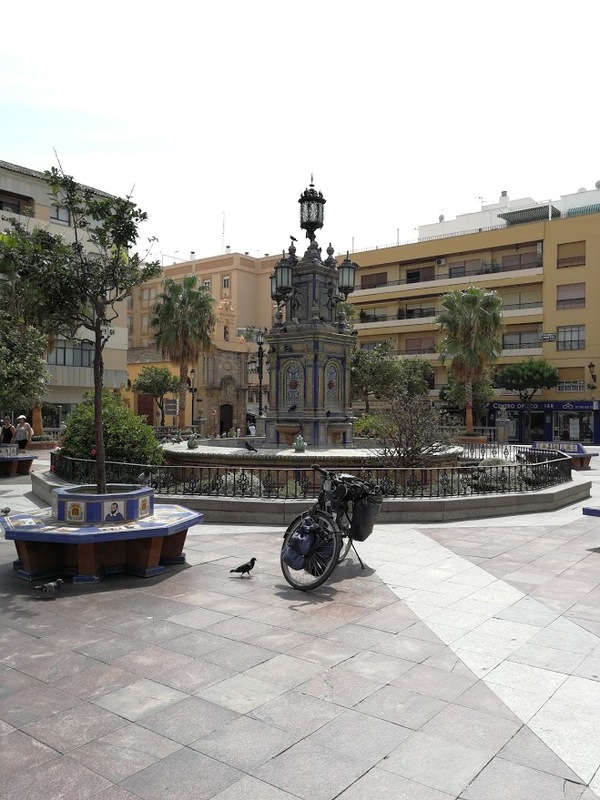 I still had time to visit the town square of Algeciras and go to a car wash.
on to a new chapter! 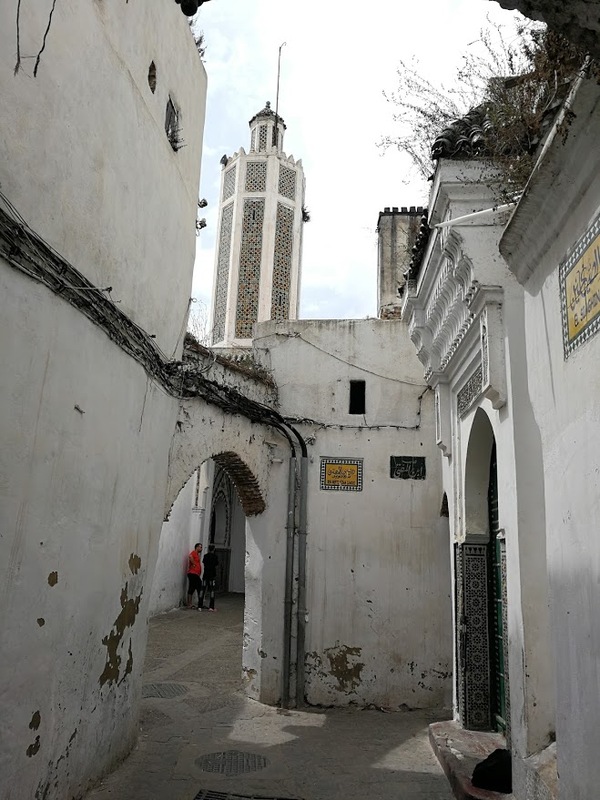 The next day I visited Tétouan – one of the oldest cities in Morocco, with a Medina that is recognized by UNESCO as world heritage. 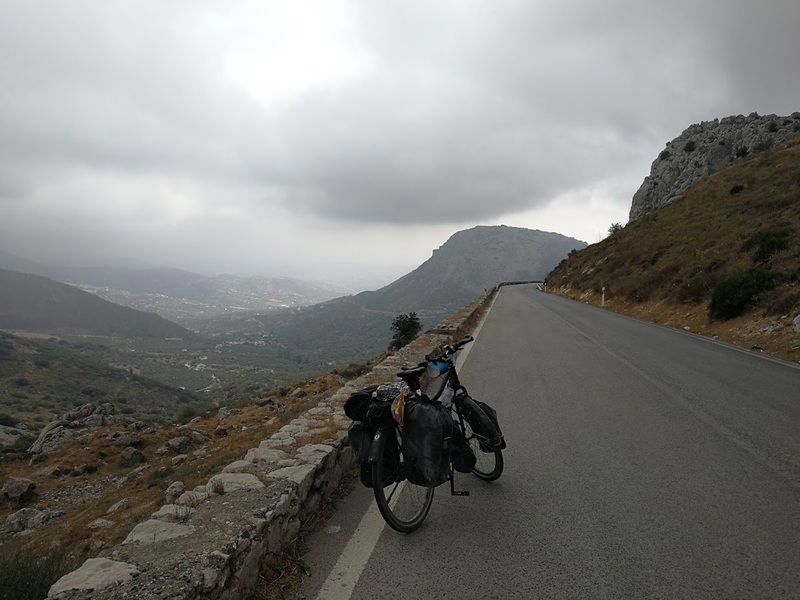 I continued further South, and cycled in the rif mountains. 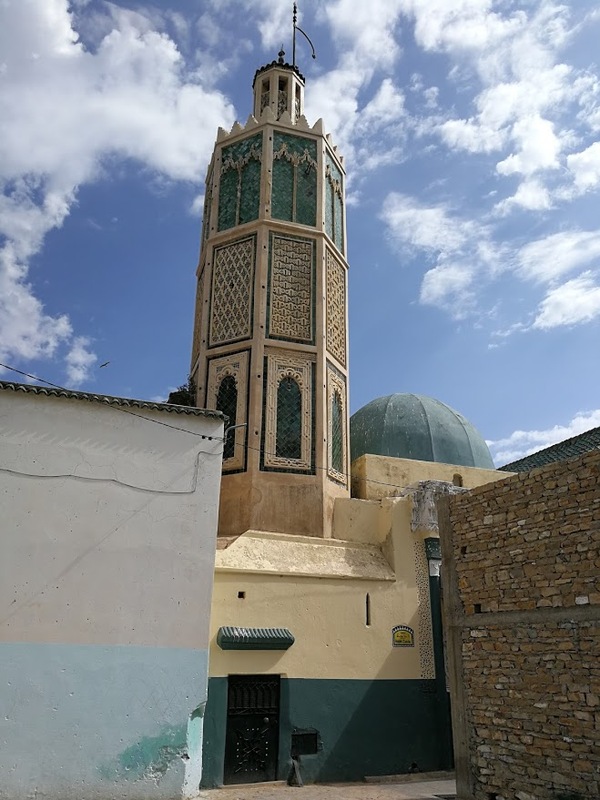 The rif mountains are known for traditional shepherds who live in the hills, also called “Jebala” – who wear colorful hats. 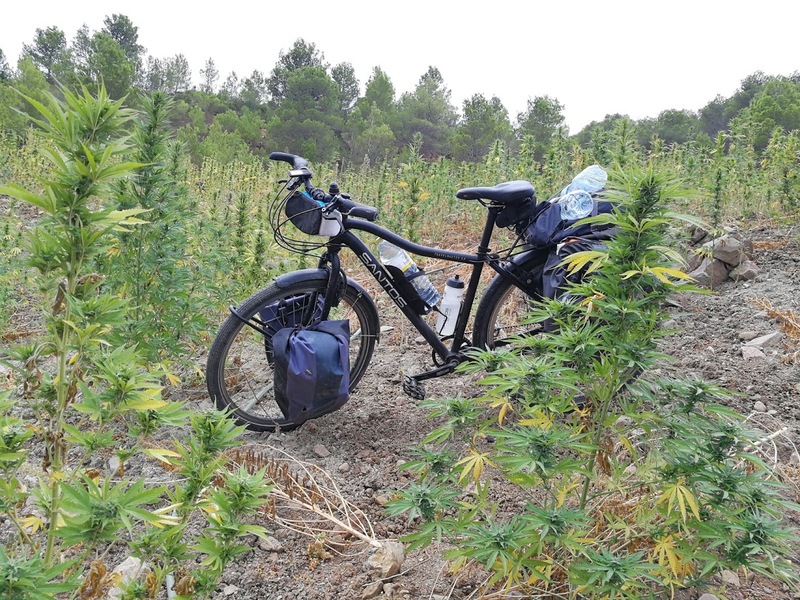 The Rif mountains are also known for exporting insane amounts of weed to Europe. I actually really liked cycling here. The scenery is great, and there are little villages along the way with tea houses and friendly people. I did not smoke any mom, I swear ! 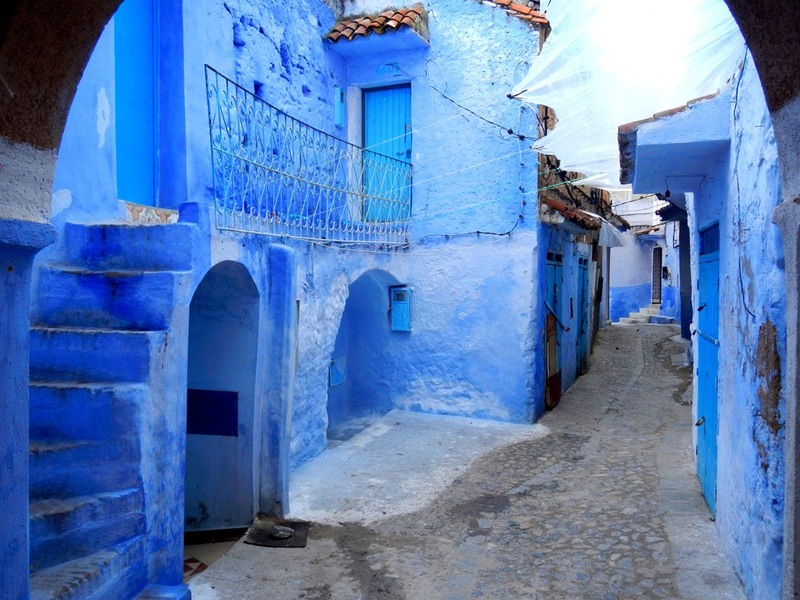 Two days after riding off the boat, I climbed a hill towards a town called Chefchouen, also known as “the blue pearl”. 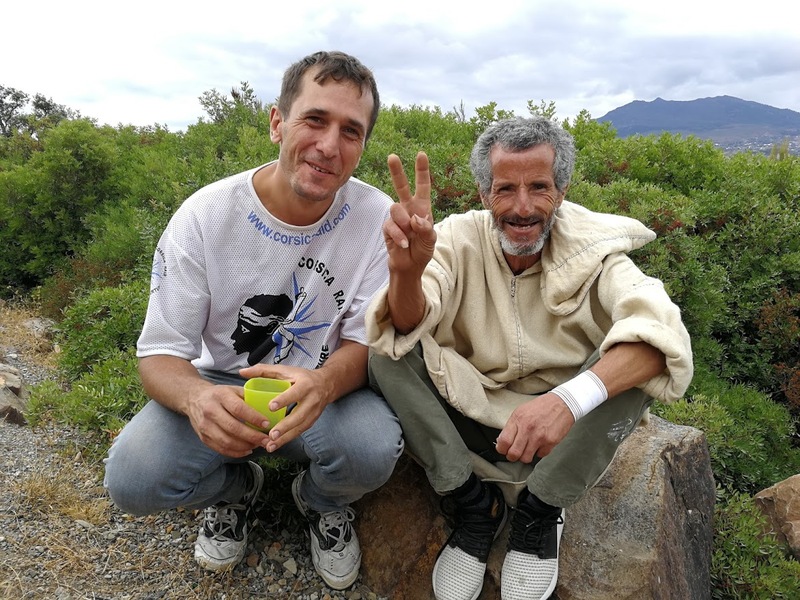 In Chefchouen, I met Jamel. 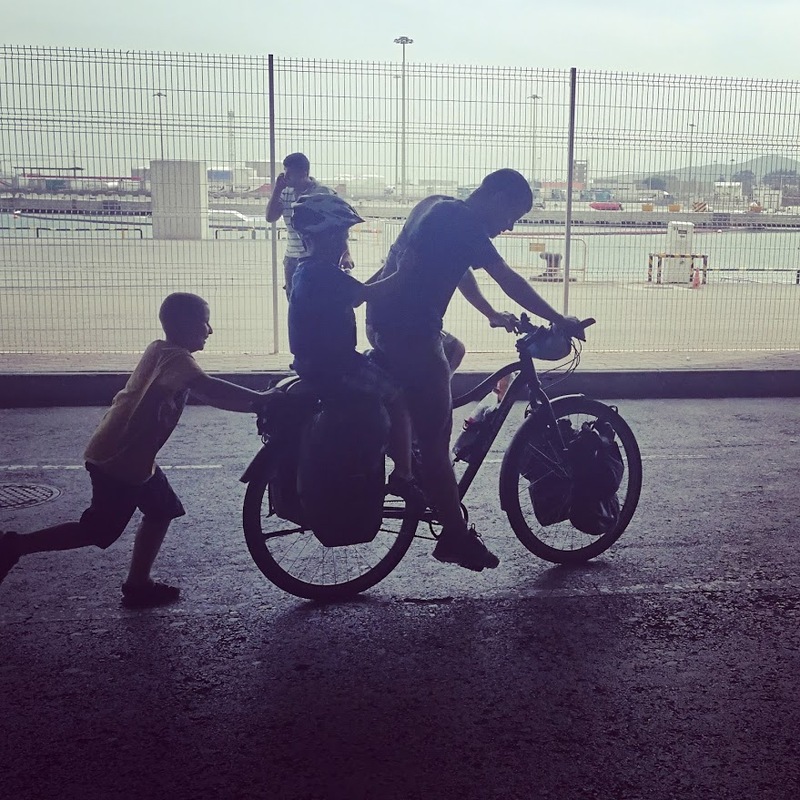 After driving off with my bike for 2 minutes, and scaring me to death, he helped me find someone who could fix a hole in one of my bags. Jamel – one of the most entertaining people I’ve met so far. 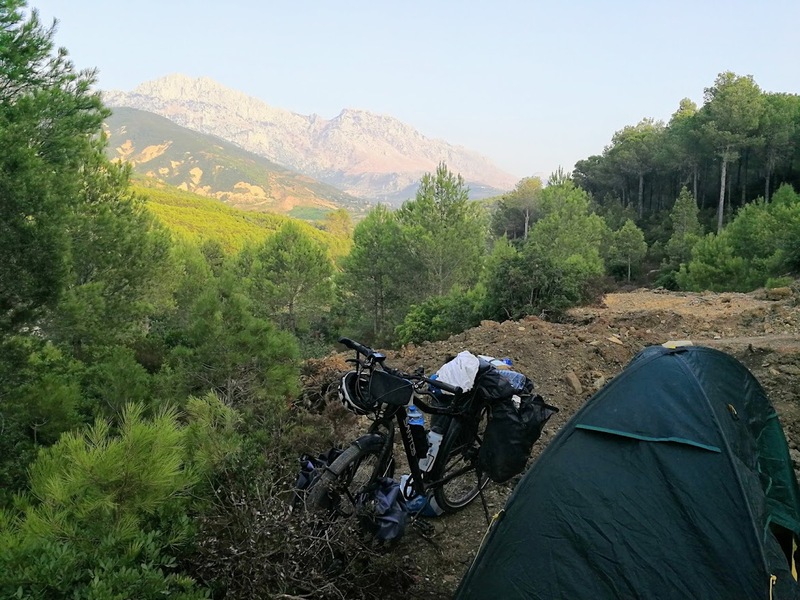 Looking for a campsite – just outside of Chefchouen. The next day I had a flat tire after 5km. 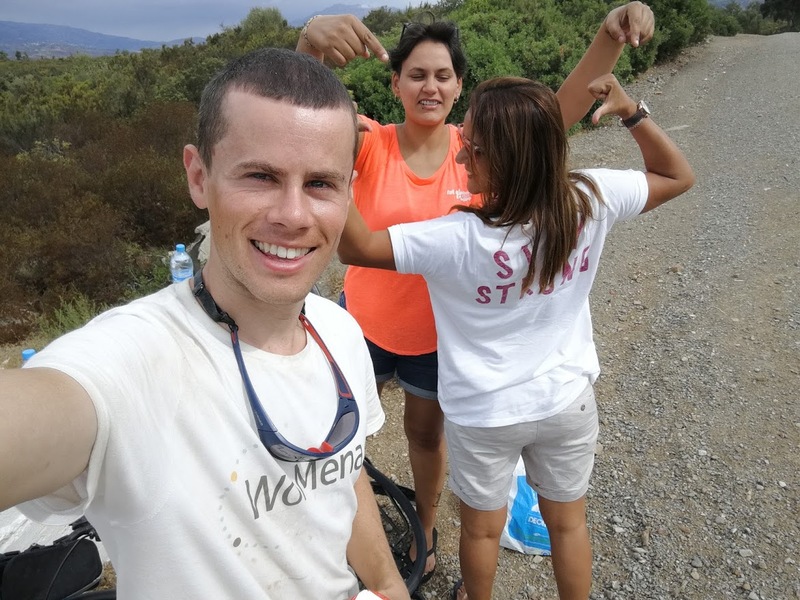 I had to replace the tube on the side of the road, and it didn’t take long before two Tunisian girls stopped and asked if they could help. I was flattered by their kindness and offered to make them coffee & biscuits (I carry a little gas fire with me). 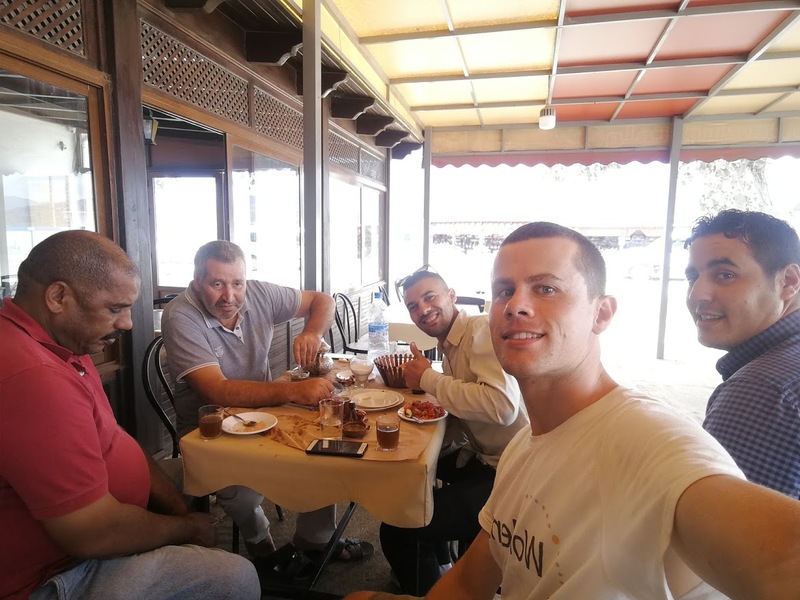 They turned out to be well traveled, and told me a lot about the part of Morocco that lies ahead for me. After Karima and Cynda drove off another guest arrived: Mohamed. He also wondered if I could use some help… I just made some more coffee. Mohamed describes himself as a farmer and business man. 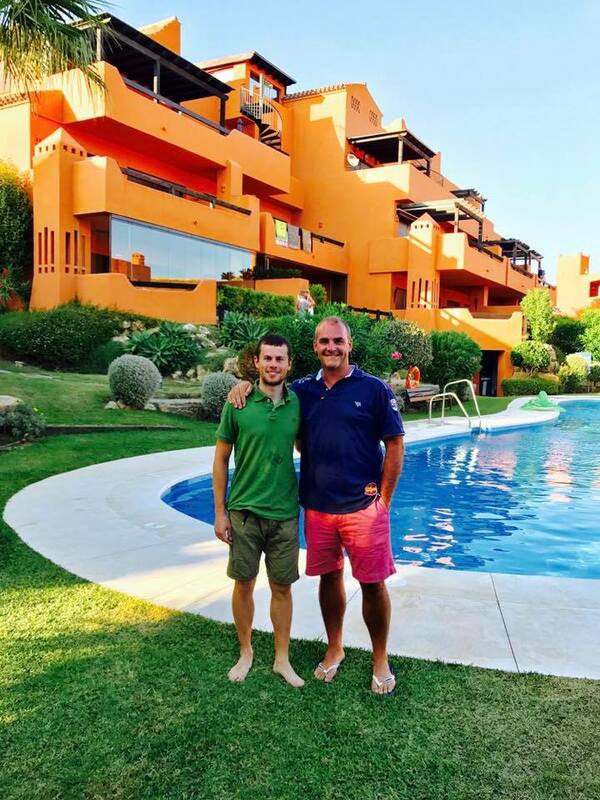 His family has been growing olives and figs for generations, but now he’s trying to start a hotel business using air BnB (with the help of his son). The last guest was Jérôme, a French guy from Montpelier who comes back to this region every year. 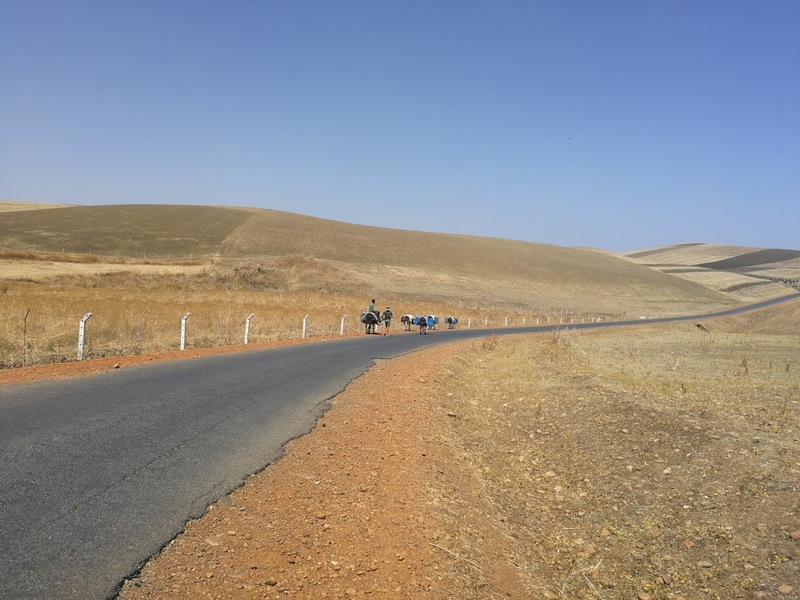 After everyone had left, I fixed the flat tire, and cycled towards Ouazzane. 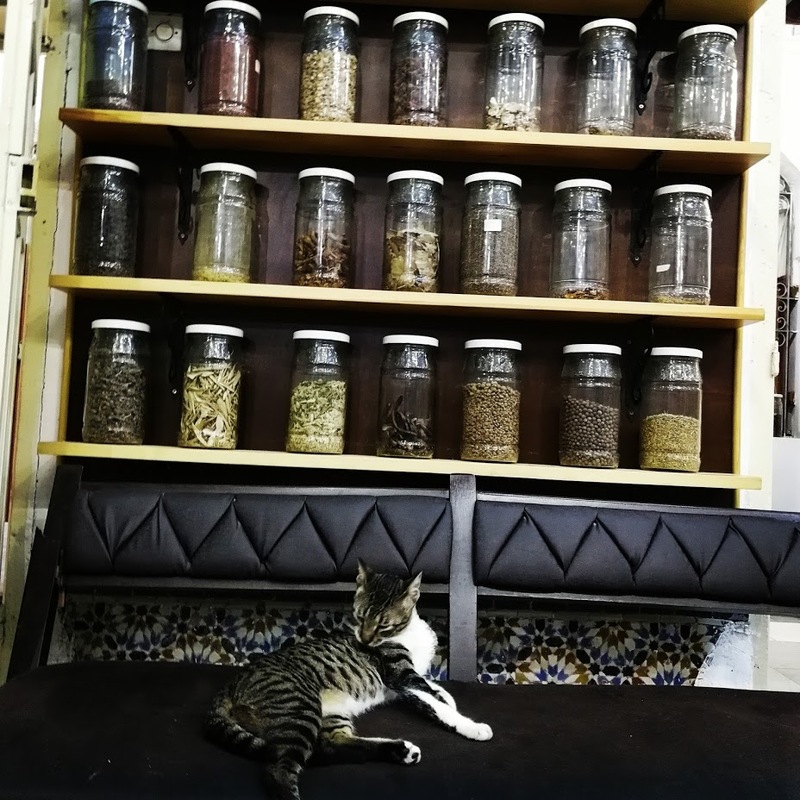 It was over 40° by then, so I stopped in every village to get tea. 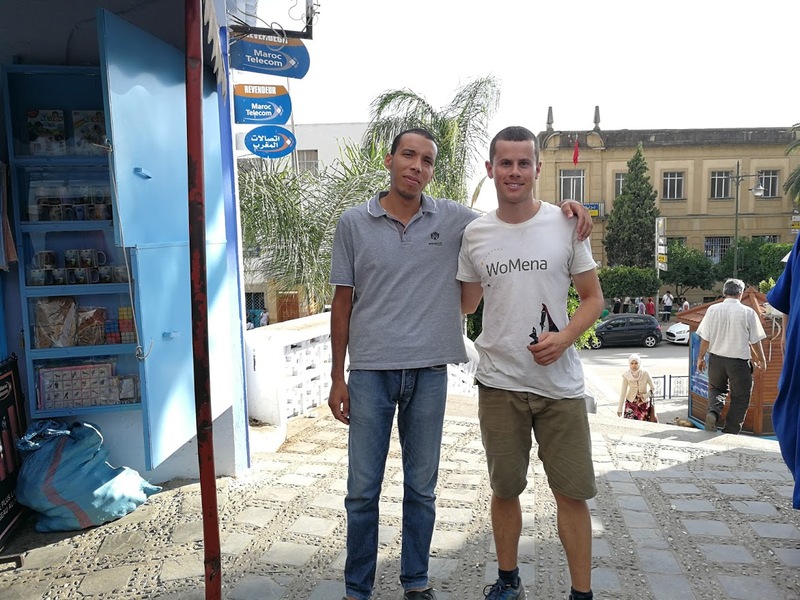 The next day I finally arrived in Ouazzane, and I bumped into Younès – a local celebrity who owns one of the tea houses. Younès seems to know everyone, and he is well aware of everything that’s going on. Younes took me to the souk, and showed me the oldest guarded parking for donkeys :). 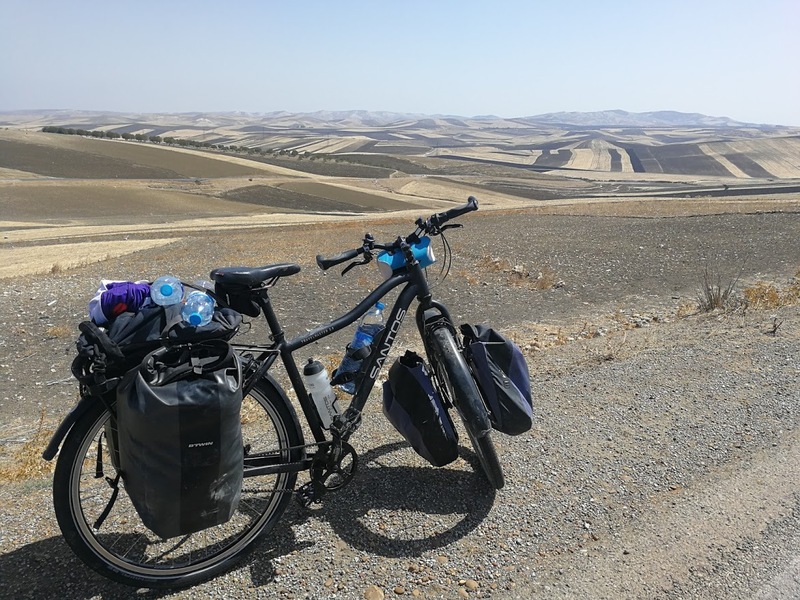 After sleeping at Younès his place, I cycled to Meknès the next day. The roads were completely abandoned because of Eid, so I cycled in the middle of the road all day long. For two hours I did not see a living soul – except for one man on a donkey. 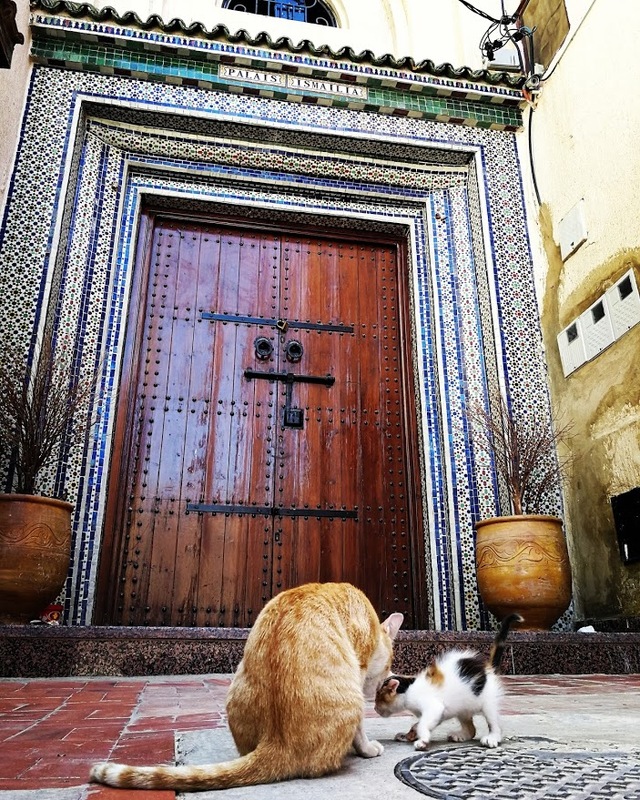 I am now hanging out in Meknès and I’m staying with the family of a friend – who’s joining me tomorrow. For the first time since Switzerland, I am taking a couple days off. Het ziet er fantastisch uit! Ik kan alleen maar bewondering hebben voor je avontuur. Nog veel fietsplezier en ik kijk uit naar je volgend verslag. Bedankt Wim! Leuk dat je mij volgt :). Zal waarschijnlijk binnen een week of drie zijn – ergens in de Sahara – als ik een goede verbinding heb. Respect! Prachtige foto’s.. Zot hoeveel gastvrijheid je aangeboden krijgt. Merci Blommie! Geniet van de eerste nazomer met Matts! 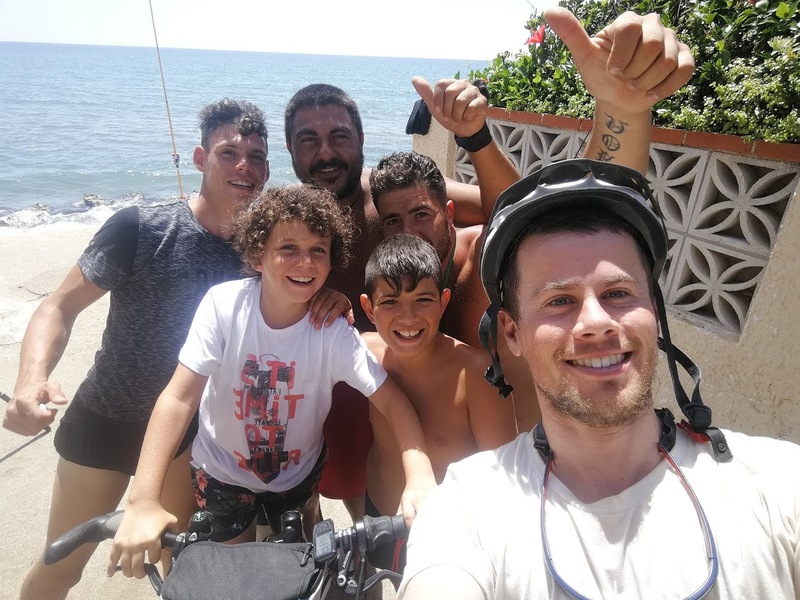 Seems you have a lot of fun and that the effort of cycling so many miles and supporting the sun & heat are no issue at all ! Very proud of you ! ik volg je elke dag met heel veel verwondering!!!!!!!!!!!! Blij dat het je goed gaat! Hou het veilig, we denken veel aan je en we wensen je vele fijne ontmoetingen en ervaringen. Vele knuffels van vavake en moemoeke. Lekke band in the middle of nowhere en dan toch nog schoon volk tegen komen !!! Ik kijk al uit naar je volgende verslag en foto’s.